Blue Grass Airport on November 3rd. Registration will open on September 24. If your family would like to attend the event, please register here. If you would like to volunteer for this event, please register here. 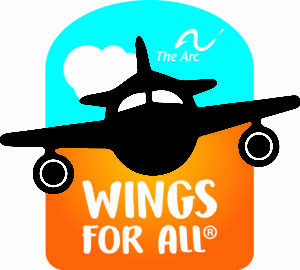 Check the Wings for All Updates for the latest information! Parking: For this event, there are two parking lots that are close to the terminal that all participants and volunteers will use. They are the “Short-Term” and “Long-Term” lots. Please bring your parking tickets into the event so that they can be stamped. Below is a parking map for those unfamiliar with the airport. *Gate number is subject to change*For Volunteers: The training room is located on the 2nd floor. Go up the elevators next to TSA line, all the way down the hall and room will be on the left labeled “Board Room.” Volunteer training is scheduled for 12:00 on November 3. This event would not be possible without the support of our many partners and volunteers. We hope that you’re able to join us for a day of fun and learning!